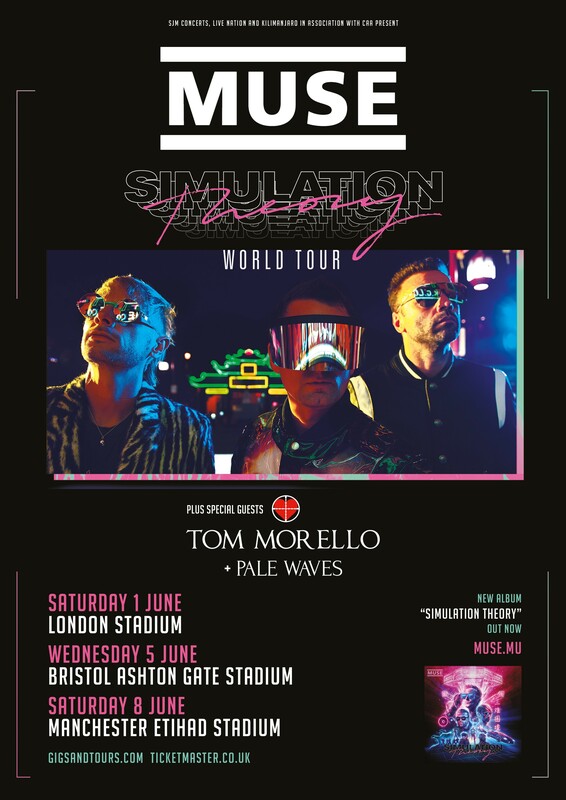 Muse are pleased to add Pale Waves as support for the stadium shows in June. Tickets available here. Official ticket resale for the Simulation Theory World Tour is strictly limited to Twickets, a fan-to-fan ticket resale platform.